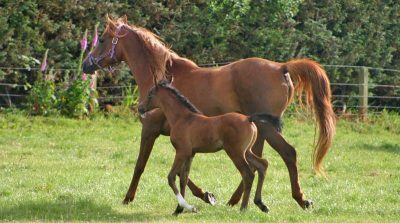 Designed to aid the mare during the difficult task of breeding. This dried herbal mix contains Nettle, Red Raspberry Leaves, Chamomile, and Rosehips. Designed to aid the mare during the difficult task of breeding. This blend will nourish your broodmare during her final months of pregnancy keeping her in optimum health, improving milk flow, toning the uterus, helping with contractions and encouraging cleansing after the birth.